Earn 25 Loyalty Points with this product. ? Sometimes, the medium and larger breed may require extra nutrients to achive maximum health. 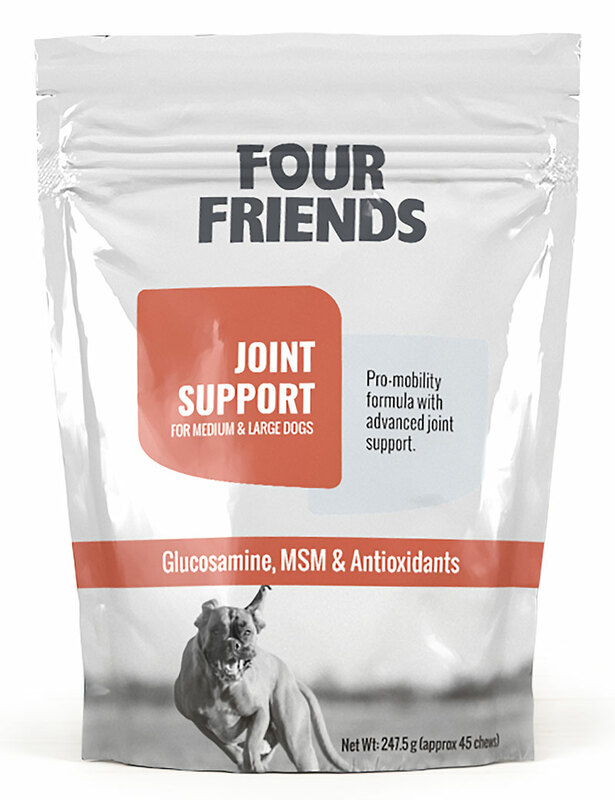 FourFriends Joint Support is a dietry supplement that contributes to better joint health. 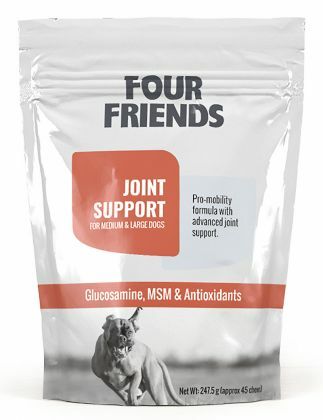 Hydrolyzed animal protein (chicken liver), oatmeal, rye flour, crustacean glucosamine 375mg, brewer's yeast, oats, methylsulfonylmethane 200mg, glycerin, maltodextrin, citrus pectrin, chondroitin sulfate 50mg, fish oil 35mg, rapeseed oil, calsium sulfate. There are about 45 pieces per bag.